The Law Offices of Edward Deason have a strong reputation, serving a diverse array of clients in and around Torrance. We are particularly helpful with lawsuits involving injuries or fatalities from auto accidents. This sort of litigation can be complicated, which is why having skill advocates on your side is crucial. Here are some numbers that help put the dangers on the road in a bit more perspective. These numbers are significant given the size of the state and the number of motorists on the road. The 2012 numbers by SWITRS also found that passenger cars were most commonly involved in auto accidents in 2012. 205,757 passenger cars were involved in injury accidents and 2,557 were involved in fatal accidents. Pickup trucks and panel trucks were involved in 15,237 injury accidents and 571 fatal accidents. Motorcycles and scooters made up a significant number of accidents in 2012 as well. 6,350 motorcycle/scooter injury accidents were recorded, while 473 fatal motorcycle/scooter accidents were on record. A breakdown of age and gender of the victims in auto accidents during 2012 reveal that young men were more likely to be injured or killed on the road. 258 males between the ages of 15 and 24 were killed when driving passenger vehicles, as were 293 male drivers of passenger vehicles who were between the ages of 25 and 34. 171 male motorcyclists between the ages of 15 and 34 were killed in 2012 as well. These numbers make sense since teenage males and men in their twenties are more likely to engage in risky behaviors behind the wheel (such as speeding) than men in other age groups or women in general. Drinking and driving is always a bad idea, and yet each year bad decisions continue to get made. According to SWITRS findings, there were 16,615 alcohol-related injury accidents and 1,066 alcohol-related fatal accidents in 2012. Be sure to drive only when sober and to never let your friends drive drunk. In 2013, a study conducted by the California Traffic Survey found that roughly 70% of drivers in the state of California said that they had been in an accident or had nearly been in an accident with a driver who was texting or talking on their cell phone while driving. This is a serious matter given how dangerous and distracting it is to text and drive. The dangers of cell phone use and texting while driving are a major reason why California has laws that prohibit the use of handheld phones to make calls or to text while driving. Only hands-free cell phones are allowed for drivers 18 years old or older. 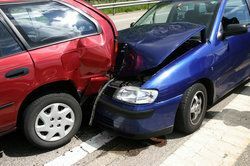 If you or someone that you love has been seriously injured or killed in an auto accident, be sure to contact our personal injury law firm today. The Law Offices of Edward Deason will be here for you in your time of legal need.